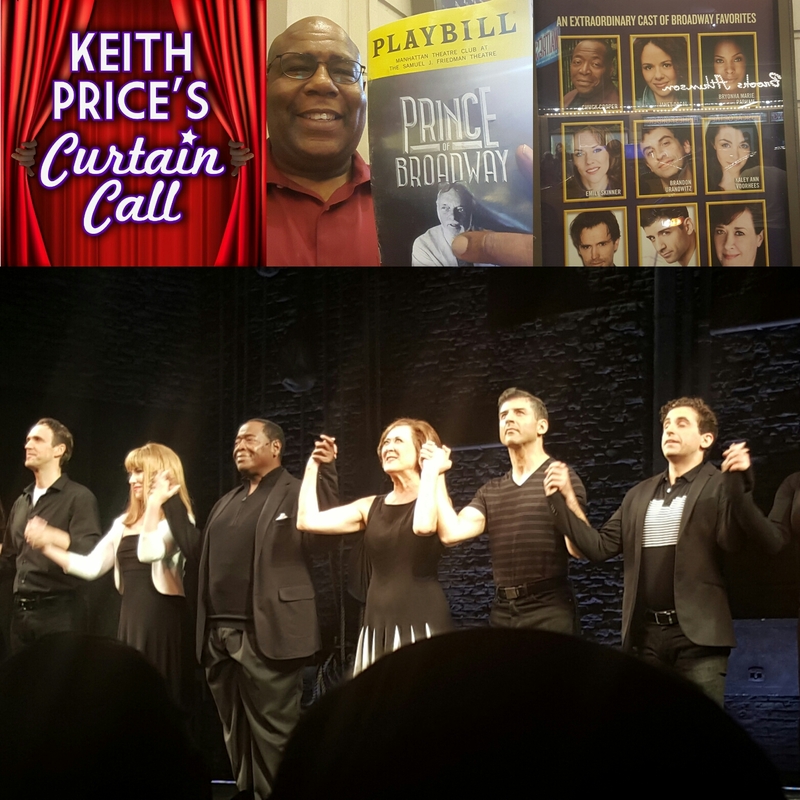 Keith Price's Curtain Call: PRINCE OF BROADWAY is EVERYTHING!!! It has now been a few days since my date with the first Broadway Musical to hit the Rialto, Manhattan Theater Club's production of PRINCE OF BROADWAY at the Samuel J. Friedman Theater. The show opened tonight. 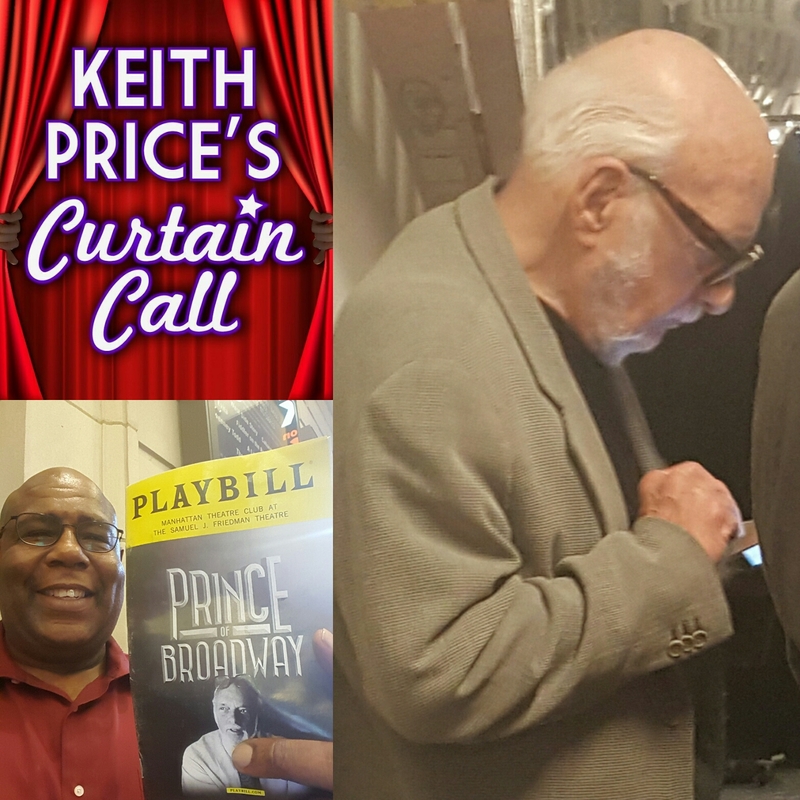 This beautiful retrospective is a small representation of the genius that is the multi-award winning, celebrated, theatrical Producer/Director, Hal Prince. I cannot even tell you the joy that I had just hearing the overture. This show has absolutely everything a musical theater fan will want. It is the best list of greatest hits of Broadway, performed by an absolutely top notched cast. There might be a tad bit of bias, because of the 9 member cast, I have had the pleasure of interviewing 6 of them ( Chuck Cooper, Emily Skinner, Tony Yazbeck, Michael Xavier, Karen Ziemba and Brandon Uranowitz) in some shape or form for the podcast. These folks bring the heat that only performers of their high caliber and pedigrees can bring. Of course after reading their bios, I have seen the remaining cast (Janet Decal, Kaley Ann Voorhees, and Bryonha Marie Parham) in other pieces, but this is the first time that I got to see them really have their moments, and boy do they. The source material for this show has some of Harold Prince's biggest Broadway hits, and they have one of the best cast and creative teams to pull it all together. Mr. 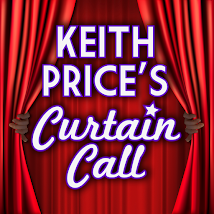 Prince's direction, along with Susan Stroman's co direction and choreography, William Ivey Long's Costumes, Beowolf Boritt's scene design, Jason Robert Brown's new arrangements and James Sampliner working his magic, as well, make a night of musical theater fantasy. I will say that almost coming to tears during the overture may have been a little overreaction, but when I heard those songs, I was instantly transported to being that crazy, sometimes misunderstood kid that loved musical theater at a time and in a place where it was very difficult to express your love of shows like Cabaret, Fiddler on the Roof, Company, Evita, and not get a LOT of side eyes and whispers. 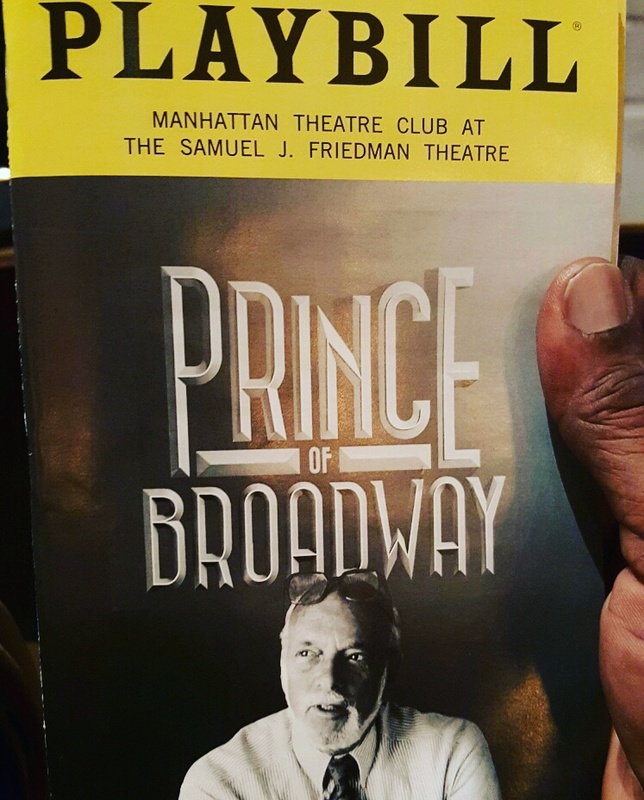 PRINCE OF BROADWAY fixes that for me, and makes me ask the obvious question: When does the cast recording emerge? Here are my first impressions while seeing the show. I do not want to give anything away, EXCEPT, that each and every cast member not only gets to shine in their own moments, but they are also support for each others' numbers, as well. I will also note that as we continue to have this conversation about diversity, the presence of Tony Award Winner Chuck Cooper and newcomers to me, Bryohna Marie Parham and Janet Dacal, is NOT an accident. These 3 magnificent performers, not only get the opportunity to perform some classic hits from the Great White Way that may not ever been offered to them under traditional casting, but they still find moments to make them their own, yet respect the integrity of the characters. 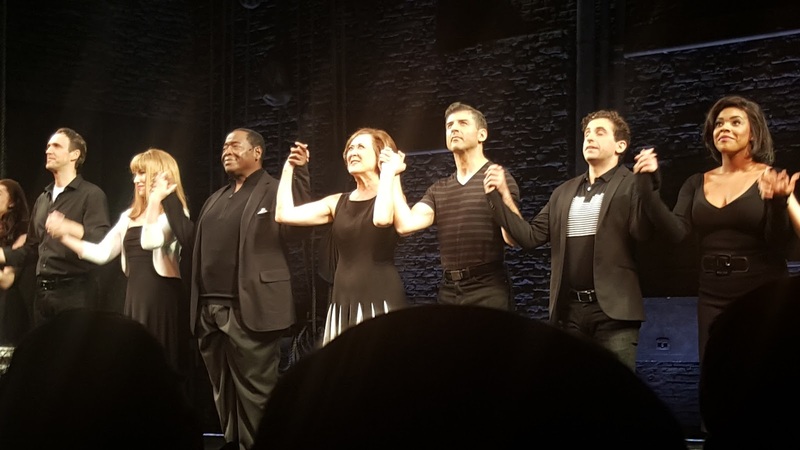 From L to R: Michael Xavier, Emily Skinner, Chuck Cooper, Karen Ziembe, Tony Yazbeck, Brandon Uranowitz, Bryohna Marie Parham. Not pictured, Janet Dacal, Kaley Ann Voorhees. Even on that stage with those veterans, the newcomers (to me) held their own. You will never hear "Cabaret", "Buenos Aires", or even a magnificent moment from Tony Award winning veteran, Chuck Cooper's Sweeney Todd section, without adding a whole new perspective to the greatness of these songs. In addition to those memories, you will NEVER forget seeing someone like Tony Award Nominee, Tony Yazbeck, show you how being a triple threat is done, or 2x Tony Award Nominee, Brandon Uranowitz, recreating the Emcee from CABARET and just knocking out of the park, or Tony Award Nominee, Emily Skinner, not only serves it up in "Ladies Who Lunch" and then just slays you with "Send InThe Clowns", and Tony Award Winner, Karen Ziemba, is singing in 2 accents, and I am only scratching at the surface of the FABULOUSNESS that this show is offering. This show is the first musical of the season, and the bar has been set for theater excellence. In my opinion, this show falls somewhere between revival and new musical, which means everything that is coming after August 24th will really have to bring something special to the table come Tony Awards nomination time. If you are someone that loves musical theater, then this show is like a buffet of delicious desserts with no calories. If you know someone who wants an introduction to some of the best all at once, then this is the best Musicals 101 survey course EVER!!!!! Get your tickets now, or you will be mad. Maybe the producers will create a second show that will encompass the other 30+ shows that did not make the cut, Prince of Broadway 2, anyone?